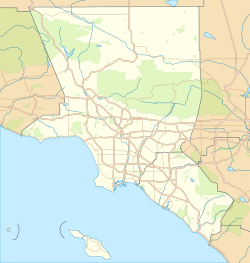 Angel Stadium and its surrounding parking lot are roughly bounded by Katella Avenue to the north, the Orange Freeway to the east, Orangewood Avenue to the south, and State College Boulevard to the west. Located near the eastern boundary of the parking lot is the landmark "Big A" sign and electronic marquee, which originally served as a scoreboard support. 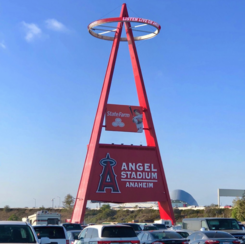 The halo located near the top of the 230' tall, 210-ton sign is illuminated following games in which the Angels win (both at home and on the road), which gives rise to the fan expression, "Light that baby Up!" ARTIC (Anaheim Regional Transportation Intermodal Center) servicing the Metrolink Orange County Line and Amtrak Pacific Surfliner, is located nearby on the other side of the State Route 57 and accessed through the Douglass Road gate at the northeast corner of the parking lot. The station provides convenient access to the stadium, the nearby Honda Center, and Disneyland from various communities along the route, which links San Luis Obispo, Los Angeles, and San Diego. The Anaheim Resort Transit stops at the center along with Orange County Transportation Authority buses. Aside from professional baseball and football, Angel Stadium has hosted high school and college football games, National Football League pre-season games, the short-lived World Football League, two crusades by evangelist Billy Graham, nearly 20 consecutive annual crusades by evangelist Greg Laurie, Eid el Fitr celebrations,  and concerts, and 2 to 3 AMA Supercross Championship races a year. The stadium also houses the studios and offices of the Angels' owned and operated flagship radio station, KLAA (830 AM). Angel Stadium has been the home of the Angels since their move from Los Angeles. On August 31, 1964, ground was broken for Anaheim Stadium and in 1966, the then-California Angels moved into their new home after having spent four seasons renting Dodger Stadium (referred to in Angels games as Chávez Ravine Stadium) from the Dodgers. The stadium was built on a parcel of about 160 acres (0.65 km2) of flat land originally used for agricultural purposes by the Allec, Russell, and Knutzen families  in the southeast portion of Anaheim. 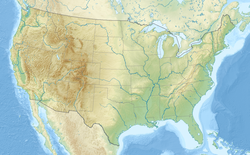 Consistent with many major-league sports stadiums built in the 1960s, it is located in a suburban area, though one that is host to major tourist attractions. The field dimensions (333 feet instead of 347 or 350, for example) were derived from a scientific study conducted by the Angels. Based on the air density at normal game times (1:30 pm and 8 pm), the Angels tried to formulate dimensions that were fairly balanced between pitcher, hitter and average weather conditions. The Angels tinkered with those dimensions several times, expanding or contracting parts of the outfield by a few feet here and there, to try to refine that balance. 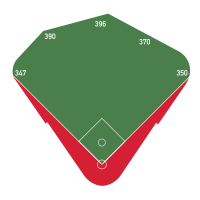 396 feet (120.701 m) is the shortest center-field in the American League, and tied for 2nd-shortest in the major leagues with Petco Park behind only Dodger Stadium's 395 feet (120.396 m). None of this seemed to matter to their Hall of Fame pitcher Nolan Ryan, who threw two of his record seven no-hitters in this ballpark, and racked up 2,416 of his 5,714 career strikeouts in eight seasons with the Angels (Ryan stats from The Sporting News Baseball Record Book). One of the no-hitters, on June 1, 1975, was his fourth, which tied Sandy Koufax's career record, one Ryan would eventually supplant. In the late 1970s, Los Angeles Rams owner Carroll Rosenbloom was looking for a more modern venue than the Los Angeles Memorial Coliseum, and also wanted a stadium that would be small enough to keep Rams games from being blacked out on local television. The Coliseum seated almost 100,000 people, and the Rams had trouble filling it even in their best years. Rosenbloom brokered a deal by which the Rams would move from Los Angeles to an expanded Anaheim Stadium. To add more seats (eventually about 23,000) for football games, the mezzanine and upper decks were extended completely around the playing field, resulting in a roughly trapezoidal, completely enclosed stadium. An elevated bank of bleachers was built in right field, and temporary seats were placed underneath, to be pulled out for football games. Another bank of bleachers was built in left field. As a result, the view of the local mountains and State Highway 57 was lost. Additionally, the Big A scoreboard support that stood in left field, and was the inspiration for the stadium's nickname, was moved 1,300 feet (400 m) to its present site in the parking lot, adjoining the Orange Freeway beyond the right-field stands; its usage changed from scoreboard to electronic marquee advertising upcoming events at the stadium. A black and white scoreboard/instant replay video board was installed above the newly constructed upper deck seats in left field, but was later deemed inadequate, especially during day games (in 1988 the scoreboard was replaced by a Sony Jumbotron color video board, with black and white matrix scoreboards installed above the right field upper deck and the infield upper deck). A triangular metal spire was added to the top of the Jumbotron to evoke the original emplacement of the "Big A". The changes did not sit well with Angels fans. As originally built, no seat was further than 109 feet from the field. However, as was the case nearly everywhere else where the multipurpose stadium concept was tried, most of the new center field seats were too far from the action. Also, while the expanded capacity allowed the Angels to set attendance records that still stand today, on most occasions even crowds of 40,000 were swallowed up by the environment. 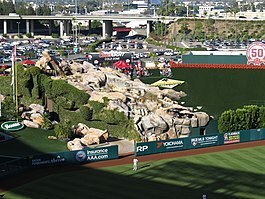 The centerfield rockpile, also known as the "California Spectacular"
The expansion was completed in time for the 1980 NFL season, and the Rams played in Anaheim Stadium from then until their move to St. Louis after the 1994 season. The Rams would return to Los Angeles in 2016, playing their games at the Memorial Coliseum again. In 1996, The Walt Disney Company, a minority owner of the team since its inception (the stadium is located less than 3 miles (5 km) east of Disneyland and across from the Honda Center, the home venue of the then Disney-owned Mighty Ducks of Anaheim), gained enough support on the board to effectively take control of the team. 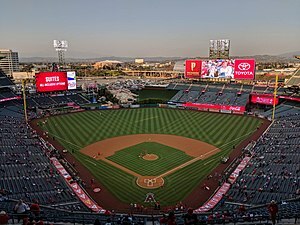 Soon afterward, the Angels and the city of Anaheim agreed to a new deal that would keep the Angels in Anaheim until 2031, with an option to leave the facility after the 2016 season. As part of the deal, the stadium underwent an extensive renovation, returning the stadium to its original role as a baseball-only facility. Before the 1997 baseball season, the section behind the outfield wall was demolished. Disney briefly considered moving the Big A scoreboard to its original location, but decided against such a move, citing costs, as well as the fact that the Big A had become a Southern California landmark in its parking lot location. Despite the fact that much of the stadium was still a hard-hat zone, the demolition and construction being only half-completed, the Angels played their 1997 season in Anaheim. Fans were greeted by a restored view of the San Gabriel and Santa Ana Mountains, the Brea Hills, and the 57 freeway beyond the outfield. Work that didn't interfere with game play continued throughout the 1997 season, with major renovations resuming in the winter of 1997. These included the installation of outfield bleacher pavilions, a video display board and an out-of-town scoreboard below the right field seats. All of the multicolored seats were replaced by green seats. The exterior of the stadium was also renovated. The concrete structure and ramps were painted a combination of green and sandstone. Much of the facade of the stadium was torn down to create a more open feeling for visitors. The most notable feature of the entire renovation, however, was a "California Spectacular" in which geysers erupt and a stream cascades down a mountainside ( Pride Rock) covered with real trees, artificial rocks behind the left-center field fence, and new bullpens. Fireworks shoot out of the display at the start of games, after every Angel home run and after every Angel win (they had been shot off from a parking garage before then). The field dimensions of the renovated stadium became somewhat asymmetrical, with the 8-foot (2.4 m) high fence in right center field (which earlier hid the football-only bleacher section) replaced by a 19-foot (5.8 m) high wall which contains a scoreboard displaying out-of-town scores of other games. A plaza was built around the perimeter of the stadium, and inside are statues depicting longtime Angel owner and chairman Gene Autry and Michelle Carew, daughter of former Angel Rod Carew, who died of leukemia at the age of 18. The main entrance includes two giant Angels hats complete with New Era tags on the sweatband (including one indicating the hats' size: 649½). The hats were originally blue and featured the Angels' "winged" logo designed by Disney for the 1997 season, and were repainted red and decorated with the present-day halo insignia for the 2002 season. Also outside home plate gate is a full-sized brick infield complete with regulation pitcher's mound and lighted bases, with bricks at each player position engraved with the names of Angels players who played at that position on Opening Day of each season since the Angels began play in 1961. For a fee, the green infield bricks can be engraved with fans' names or personalized messages. The Angels opened their "new" stadium on April 1, 1998 with a 4–1 victory over the New York Yankees. The renovated stadium has 5,075 club seats and 78 luxury suites. In 1998, the stadium was renamed Edison International Field of Anaheim after local utility Edison International reached a deal giving it naming rights over the stadium for 20 years, and during this time, the stadium was referred to as the Big Ed. However, after the 2003 season, Edison International exercised its option to exit the sponsorship deal. On December 29, 2003, the Angels announced that from then on the stadium would be known as Angel Stadium (in full, Angel Stadium of Anaheim). 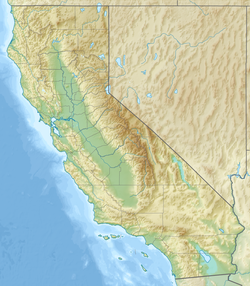 Some locals can still be caught calling the venue by its original name, Anaheim Stadium, as well. After the name change in 2004, its original nickname, The Big A, was restored again. Despite efforts to cover them up with the Angels' halo insignia, Edison's insignia can still be found on the ends of seating rows throughout the ballpark. It hosted seven American League Division Series ( 2002, 2004, 2005, 2007, 2008, 2009, and 2014) and six American League Championship Series ( 1979, 1982, 1986, 2002, 2005, and 2009). Most notably, it hosted the 2002 World Series, which the Angels won in dramatic fashion over the San Francisco Giants, finally winning one for their late and long-time owner, "Singing Cowboy" Gene Autry (and for his widow and business partner Jackie, who is also honorary president of the American League). Angel Stadium hosted several games during Round 2 of the 2006 World Baseball Classic. Famous individual baseball milestones attained here include Mickey Mantle's last game-winning home run, Nolan Ryan's striking out of nine straight Boston Red Sox, Reggie Jackson's 500th career home run, Rod Carew's 3,000th career base hit, Don Sutton's 300th career win, Vladimir Guerrero's 400th career home run, George Brett's 3,000th career base hit, and Albert Pujols' 600th career home run. The stadium is currently designated to host softball and baseball events for the 2028 Summer Olympics along with Dodger Stadium. Never Say Die! Tour — — This concert was part of Summerfest. September 9, 2017 Chance the Rapper — Be Encouraged Tour — — These concerts were part of the Day N Night Festival. Several major motion pictures have been shot at Angel Stadium. The final sequence of The Naked Gun: From the Files of Police Squad! (1988) features an electronically manipulated Reggie Jackson trying to shoot Queen Elizabeth II. Exteriors were shot at the ballpark, but most baseball scenes were shot at Dodger Stadium. The 1990 comedy Taking Care of Business featured a World Series matchup between the Angels and the Chicago Cubs, with the baseball scenes in the movie having been filmed in the stadium. The Disney remake of Angels in the Outfield (1994) prominently uses the ballpark; however, many of the interior shots were filmed at the Oakland–Alameda County Coliseum. The stadium served as a stand-in for Candlestick Park in filming of The Fan (1996). Scenes from Deuce Bigalow: Male Gigolo and Air Bud: Seventh Inning Fetch were also filmed here. On November 16, 1979, Anaheim Stadium hosted Motorcycle speedway when it was the venue for the American Final, a qualifying round for the 1980 Speedway World Championship. Future dual World Champion Bruce Penhall won the Final from Scott Autrey and Dennis Sigalos. Penhall and Autrey qualified to the Intercontinental Final in England held over 6 months later. Penhall qualified through to his first World Final held at the Ullevi Stadium in Gothenburg, Sweden where he finished in 5th place. Angel Stadium has been the site of annual Christian Harvest Crusades since 1990. It has also hosted Muslim Eid el Fitr celebrations. In 2014, Barack Obama spoke at the commencement ceremony for the University of California, Irvine, which was held at the stadium to accommodate capacity and security concerns. In 2016, the St. John Bosco Braves football team beat the Mater Dei Monarchs by a score of 42-28 in the CIFSS Division 1 playoffs. ^ a b Weyler, John (April 19, 1986). "20th Anniversary . . . : The Big A : A Place Where Billy Graham, Rockers and Angels Have Tread". Los Angeles Times. Retrieved October 26, 2012. ^ Shaikin, Bill (August 30, 2013). "'Los Angeles Angels of Anaheim' could be no more". Los Angeles Times. Retrieved September 6, 2013. ^ a b Mellen, Greg (June 25, 2017). "20,000 Muslims Gather at Eid Prayer Celebration in Anaheim". The Orange County Register. Retrieved March 28, 2019. ^ Smith, Curt (2001). Storied Stadiums. New York: Carroll & Graf. ISBN 0-7867-1187-6. ^ Busser, Bob. "Anaheim Stadium part 2 – Anaheim, California". Ballparks, Arenas and Stadiums. Retrieved May 11, 2015. ^ "Daktronics Photo Gallery: Angel Stadium of Anaheim". ^ Guardado, Maria (December 19, 2017). "Halos Will Have MLB's Third Largest Scoreboard". Major League Baseball Advanced Media. Retrieved March 28, 2019. ^ Adler, David (February 20, 2018). "Angels to Lower HR Boundary of Right-Field Wall". Major League Baseball Advanced Media. Retrieved March 28, 2019. ^ "Angels Baseball Adds Two Fast Casual Dining Options" (Press release). American Restaurant Holdings, Inc. April 12, 2016. Retrieved February 18, 2017. ^ Chodzko, Adam; Birch, Matt; Kay, Eric; LeVier, Corey; Schwartz, Mike (March 6, 2017). 2017 Angels Baseball Information Guide. Major League Baseball Advanced Media. p. 436. ^ Birch, Matt; Chodzko, Adam; Kay, Eric; Davidson, Katie; Weaver, Vanessa; Cali, Adam; Pluim, Lauren; Kami, Tricia; Mitrano, Dominic; Demmitt, Shane; Crane, Brett; Wiedeman, Aaron (2019). 2019 Angels Baseball Information Guide (PDF). Major League Baseball Advanced Media. p. 454. Retrieved March 28, 2019. ^ Edes, Gordon (August 10, 2014). "Rapid reaction: Angels 5, Red Sox 4". ESPN. Retrieved August 10, 2014. ^ a b c d Eliot, Marc (2004). To the Limit: The Untold Story of the Eagles. Da Capo Press. p. 119. Retrieved December 15, 2016. ^ Townsend, Adam (December 2, 2008). "Thom leaves a legacy of rock 'n' roll and Latino rights". The Orange County Register. Retrieved October 10, 2010. ^ Wener, Ben (February 15, 2008). "Siouxsie recapturing her wail on new tour". The Orange County Register. Retrieved September 23, 2013. ^ Hilburn, Robert (August 10, 1987). "At Anaheim Stadium: David Bowie Spins A Glitzy Web". Los Angeles Times. Retrieved September 23, 2013. ^ Tully, Sarah (November 18, 2005). "The Catch to close for at least a year". The Orange County Register. Retrieved October 10, 2010. ^ Molina, Alejandra (August 26, 2015). "A Q & A with Harvest Crusade Founder Greg Laurie, Who Says Happiness Is Accessible to All". The Orange County Register. Retrieved March 28, 2019. Wikimedia Commons has media related to Angel Stadium of Anaheim.
" Build Me Up Buttercup"